The high-fidelity sound heard on many of your favorite records is something we can easily take for granted these days. It's a standard of quality in audio engineering that has come from many years of progressive developments in the arts of mixing and mastering. Along this path, many essential mixing and mastering processors have assisted in pioneering this journey through audio excellence. From analog to digital processing, the mastering signal chain is usually a complicated one that varies from one engineer to another. At times a guarded secret of these engineers, most mastering signal chains contain at least a few key processing components: ones that allow for precise control over the dynamics—compressors/limiters—ones that allow for the addition and removal of problematic frequencies—equalizers and de-essers—and ones that can generate additional boosts or cuts in harmonic overtones—sonic maximizers and expanders. 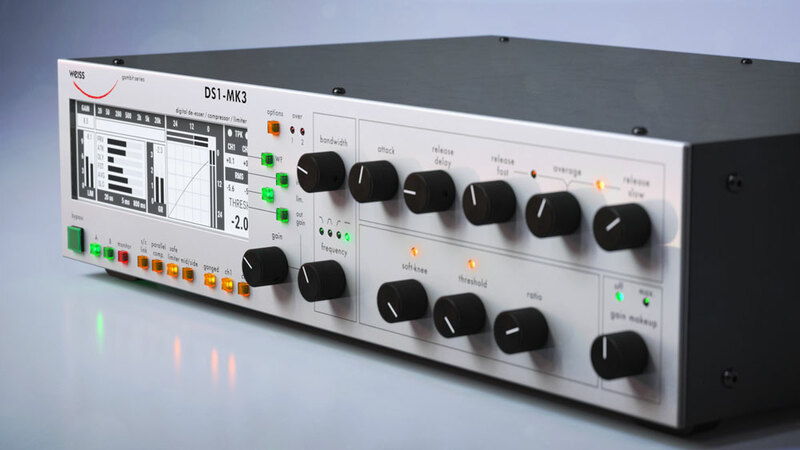 Few all-in-one multi effects processors have had more impact on the modern-day mastering process than the Weiss DS1. Introduced in the 1990s by Daniel Weiss of Weiss Engineering Ltd., the DS1 has become a mainstay in mastering studios around the world. A fully digital signal processor known for its transparency, unparalleled versatility, and exceptional sound quality make it a must-have for many professional mastering engineers. Heard on a great number of the major records you'd care to mention from the last twenty years, this processor, in its latest incarnation as the DS1-MK3, harnesses a new price tag approaching $10,000. Fast forward to 2018, and after three years of development between Weiss Engineering and benchmark Swedish plugin makers, Softube, together they have launched the Softube Weiss DS1-MK3. 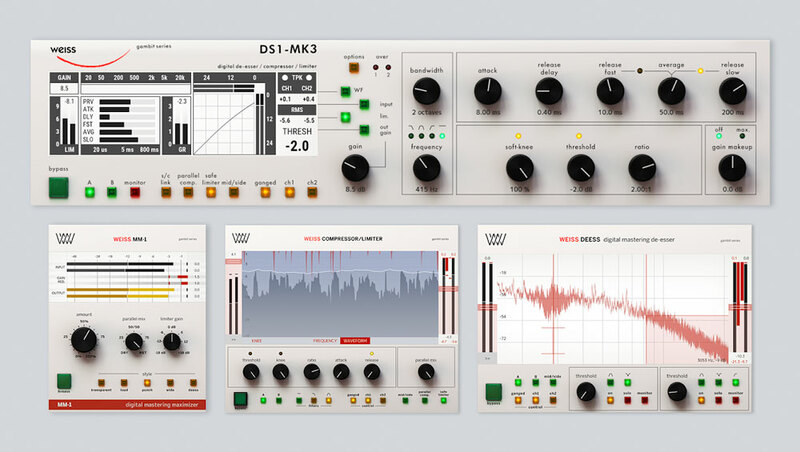 Available as the fully featured original unit or modularly—with the Weiss DeEss, and Weiss Compressor/Limiter—the Softube Weiss DS1-MK3 is not an emulation of the original unit, but a line-by-line porting of the exact code in the original DS1-MK3 directly into a plugin. 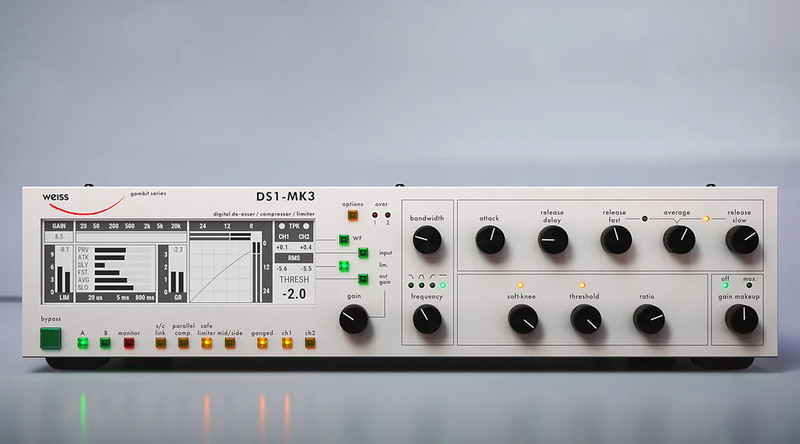 Now available for use within your DAW of choice, for a fraction of the price of the hardware unit, the Softube Weiss DS1-MK3 is an exacting software version of the Weiss DS1-MK3. Featuring audio processing up to 32 bit/192 kHz, two all-new advanced limiter algorithms in addition to the Weiss original, combined with the inherent functionality of a software plugin—and its ability to run multiple instances of the processor within a single signal chain—nothing can come close to the value this mastering suite provides for the price. For the first time, mastering like the masters is open to all for about 5 percent of cost of the original hardware unit. From the highly-praised mastering engineer Bob Katz's endorsement of this processor, all the way down to the next generation of audio professionals, Softube has opened up this technology up to engineers at all levels. For this Reverb Software Pick, I wanted to put this remarkable technology in front of someone who's work, especially in the sonic brilliance department, has always impressed me. I reached out to long-time friend and prolific electronic music producer, Anthony Nicholson. 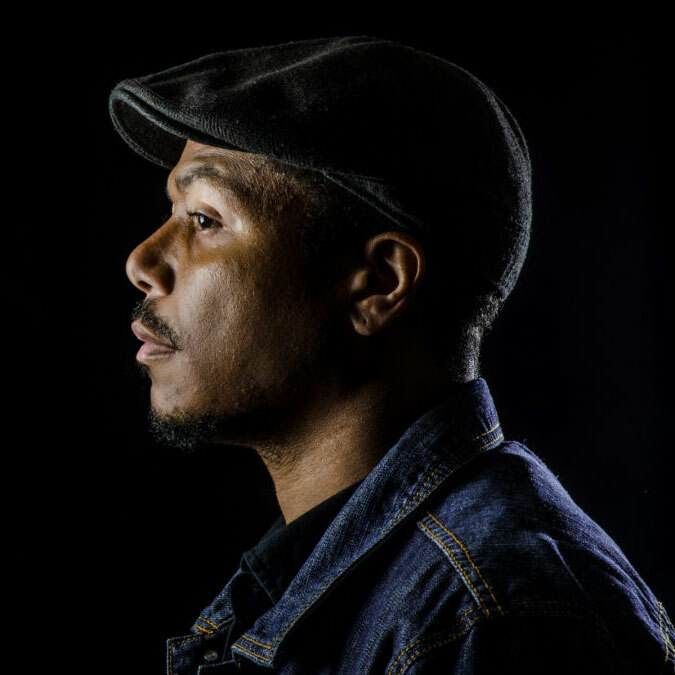 Nicholson, aka Miquifaye, is a Chicago-based record producer credited on over 400 releases, having started his professional music career in 1992. Beginning his production legacy with releases for the seminal and influential Prescription, Circular Motion, and Clairaudience record labels, Anthony has gone on to carve out a unique musical path that is as equally praised for its approach to the dance music traditions of Chicago, as it is acclaimed for its sonically captivating character. A respected mastering engineer outside of his own work, Anthony is regularly contracted for mixing and mastering services for clients around the globe. Keep reading to hear, directly from Anthony, his thoughts on the Softube Weiss DS1-MK3 and how he went about using it to create the Reverb Exclusive Demo tracks. This processor and the legacy that it comes with is something that I am very familiar with. Most of the engineers I saw while working in some of the major studios in New York always loved the DS1, and it was always in the signal chain at the best and brightest studios I have been to. This processor may look intimidating from the outside looking in, but it's just an all-in-one combination of a signal chain that most are familiar with already. The combination of dynamic control meeting equalization and ultimately the expansion/maximization of that, is pretty much the entire process of mastering any piece of respectable audio. Usually, most people like to judge the quality of a processor or plugin by the quality of the presets, and with Bob Katz presets shipping stock on this one it would be hard to deny that claim. However, I personally prefer to dive right in to twisting knobs and settings to get my bearings on what types of extremes the unit is capable of. This extremely impressive tool was no different. I quickly discovered the very musical tonality of this product and why it has been highly lauded for so long. In almost every use case, the Softube Weiss DS1-MK3 allows for the harmonic spectrum of any sound to really shine. There's a certain quality to the subtle nature of the compressor, extremely flexible deesser, and limiter that enchants the overtones of signal in a way that doesn't make me reach for additional equalization surgery as much as is typically needed for some use cases. Thus, it removes many inherent phase distortion battles that are always in play with corrective EQ implementation, allowing many elements to sit in the mix more naturally. For this demonstration, I wanted to express the subtle, yet extremely authoritative control this mastering processor brings to the table by showing examples across the five music instrument food groups: bass, guitar, piano, synth, and drums. Everything in these examples are run in parallel processing modes. For those new to parallel processing or anyone in need of a refresher course, Reverb published a pretty good guide to parallel compression a while back. To keep the natural acoustic sound of this instrument intact, I wanted to only do a tune up with very subtle changes in the dynamics and leveling of the sound. The low-mid range gets a little boost as I widen the bandwidth to extend the sustain of the overall sonic character of the instrument. I found this very useful for bass tracks. I would have usually started off with an EQ, instead of a compressor, as I wanted to bring out the presence in the low-mid range of this part. Pushing the harmonics and helping to restore the dynamics after compressing the bass, I would have had to have made a longer signal chain to achieve the same results that I got with just a few tweaks in the DS1-MK3. I wanted the attack to be faster, so as to open up the high-mids. This brings out the presence, and to achieve that snap and pop of the guitar. I didn't have to use EQ to achieve these results without a low-pass filter and compressor, helping to not introduce phase distortion and truly bringing out the harmonics of the guitar. Extending low bandwidth punch, this compressor setting tightens up the snare and extends low-end without gain make up, which is very unusual for compressor in general. Using a wide Q, the slow release feels like it's actually bringing out the transients even more, effectively changing the overall snare placement in the drum mix. By boosting the high-mids and taking the bandwidth all the way down (thus broadening the entire mid range), I was able to get these improved harmonic results, instead of using an exciter and compressor. A lot of the time you get too much top-end from an exciter, and you'd have to go back in with an EQ to pull that out. The DS1-MK3 can achieve those results without that, because of its Weiss harmonic trickery. Overall, this is the most high-quality professional all-in-one mastering processor I have ever used. I can see why it's been the standard for so long. Its ability to restore harmonics and add even more, particularly within the air ranges, combined with the time-saving nature of not having to build signal chains three to four times as long to achieve results anywhere near what it delivers within one is an absolute winning combination. It certainly meets the qualifications of a processor I will use daily for a very long time. I highly recommend this, and can't believe that it's now this affordable. 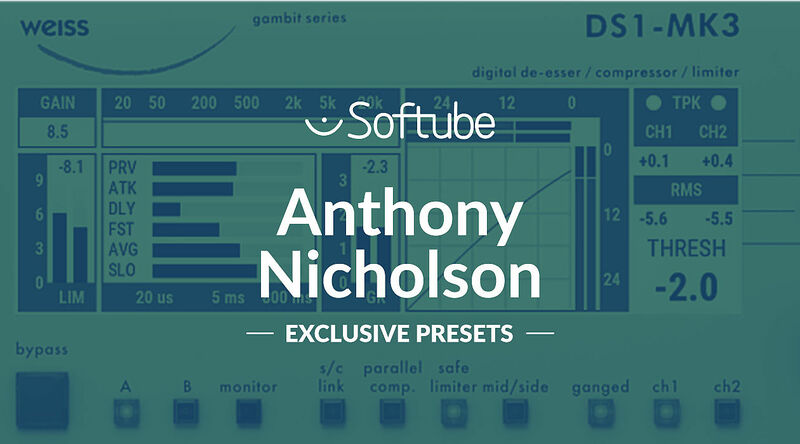 Be sure to check out the Reverb Exclusive Demos Anthony Nicholson made in the playlist above and download the presets from his tracks for free on Reverb now. For more information on Anthony Nicholson and to hear his work, go to his soundcloud here.